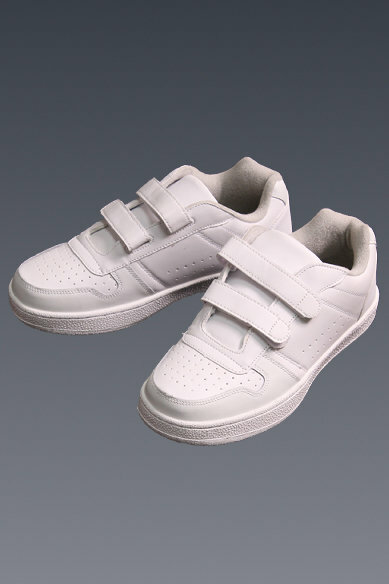 Adjustable tab closure sneaker. Leather upper. To clean: Buff with a leather cleaner or polish. Wipe off with a damp cloth. Do not machine wash. White.